The assortment of blueZPring ranges from the small submersible pump, over all types of garden pumps and house water systems, as well as sewage and waste water lifting units, up to grease separators and pressure booster systems. Ready-to-install including the entire accessories for quick and easy assembling. By the way, you get blueZPring area-wide in specialist shops. Our sales department in Germany and Europe will be pleased to assist you. 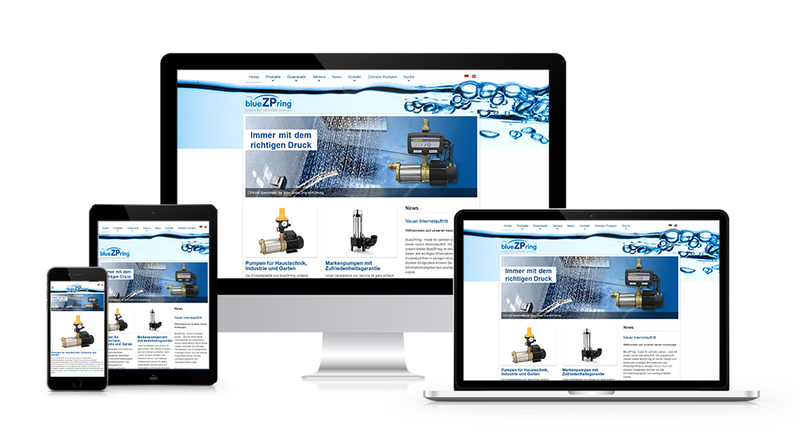 BlueZPring - made for zender pumps - releases a new online presence. We present our brand BlueZPring in the new design and offer all important information about the product portfolio in just a few clicks. Even with mobile devices, you can now use the information without restrictions.